The United Kingdom is known as a hotbed for musical reinvention. 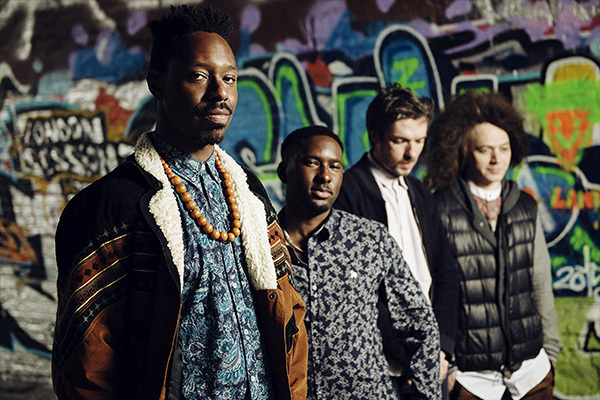 That's where Sons Of Kemet, and lead saxophonist Shabaka Hutchings, arise from. However, it's not where Jazz made its imprint, as the American genre bore its labor on the backs of African slaves shipped on boats from their native homes. Despite his distance from the point of origin - something we're all quite removed from, even in America - Hutchings cares deeply for that history, especially at a time when nationalism and exclusionary practices are seemingly becoming more frequent. This is the foundation for Your Queen Is A Reptile, a demanding work of artistic renaissance that denounces the royal family in favor of distinguished women who earned their recognition by advancing the rights of the disadvantageous. Through energetic Jazz that stumbles vicariously over other African-imbued genres like Funk, Dub, Afrobeat, and Hip-Hop, Your Queen commands the attention of your mind's wisdom, your body's stamina, and your spirit's compassion. 'My Queen Is Ada Eastman' begins the nine-track rally with Joshua Idehen, spoken word lyricist, reciting the virtues of black pride through striking vehemency. He correlates the resiliency of minorities to that of roaches, those ugly to archaic establishments yet a pest one can't simply remove. "I'll be here when your cities are sediment, and only your borders and fences are left. I'll be here when your banks stop selling debt, and all your leaders stop selling death." His pestering words ignite the radical tone carried throughout Your Queen, leaving Sons Of Kemet to sprint with the torch until he reappears on the equally warring 'My Queen Is Doreen Lawrence.' Not only do these two appearances welcome weary Jazz novices with relatable vocals, they offer direct articulations, through outstanding elocution, of what this all means. Thanks to Idehen, Sons Of Kemet's veneration of female black excellence through the uprising of slavish roots has tactile commentary. But really, the eminence of Your Queen lies in the unspoken vitality of Hutchings, Sebastian Rochford, Tom Skinner, and Theon Cross. The four instrumentalists - one saxophonist, two drummers, and one tubist - provide a contextual soundtrack to each women's respective movement. Being Jazz, they're non-specific and really derived through expression and not experience, but the motives come across candidly, especially when Sons Of Kemet reach their zenith like on standout 'My Queen Is Harriet Tubman.' This, due to the disorganized production that sounds thematically inspired by the exodus of more than 70 slaves known as the Underground Railroad. Obviously not inspired by real events, considering one of Tubman's typical journeys took six, slogging winter weeks, Sons Of Kemet instead use the marketable title to provide cinematic action. The claustrophobic coal-burner really does sound like a freight train speeding beneath the surface. These high-octane moments represent Your Queen's best, as it gives each member an opportunity to flex their might. Despite beginning with humble origins that act as rhythmic Spiritual Jazz intros, 'Anna Julia Cooper' and 'Angela Davis' both morph cathartically into mutinous Afrobeat jams hellbent on destruction. This is all done, cleverly, through pacing and the restriction of certain instruments (namely, Cross' tuba) until Hutchings has decided upheaval will commence. That is to say, while Your Queen's slower pieces aren't as toe-tappingly dynamic, they're often times no slouch in crafting rich arrangements. Only 'Mamie Phipps Clark' and 'Nanny Of The Maroons' fail to accelerate past their tenuous cruise, succeeding in providing a necessary hiatus from the pandemonium, but also struggling with engagement thanks to their lengthy exposition. See, there's not a single song on Your Queen that's less than five minutes long, and on certain high end encounters (like 'Yaa Asantewaa's' seven minutes) the prolongation becomes a hindrance to the riotous reform that waits for no man. 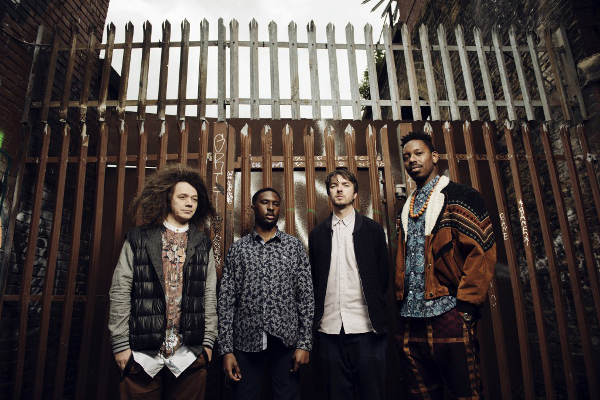 Members of Sons Of Kemet aren't unused to shorter songs, since two (Skinner and Hutchings) took part in the hurried and free-forming Afro-Punk (you read that right) of Melt Yourself Down. However, on the aforementioned highs of Your Queen, with the melodious jamboree of 'Albertina Sisulu' included, the denouement's come with sighs instead of encores. In other words, their exhausting blowouts often end moments after reaching rapture, likely due to the strain maintaining such energy causes. I mean, just listen to the manic brouhaha at 'Albertina Sisulu's' climax; Even Cross' tuba's forced to blow at a drummer's pace. A Jazz aficionado, I am not. Being able to describe the notes, scales, notations, chords, timing, and structure is something I'm unable to do. This is why Your Queen thrives; it's Jazz music for the modern listener, one whose patience is tested after applying the stylus to a vintage Coltrane (John or Alice) vinyl. Idehen's words of imperviousness help foster the understanding, whereas Sons Of Kemet's pacing and panic help explain the mood. On the surface, Sons Of Kemet's Afro-Jazz might just be the backbone of a dance-fueled ruckus, but underneath it's a liberating free-for-all backed by the unrelenting sacrifices made in the name of progress. Your Queen Is A Reptile embodies defiance and persistence in the face of outdated monarchies.